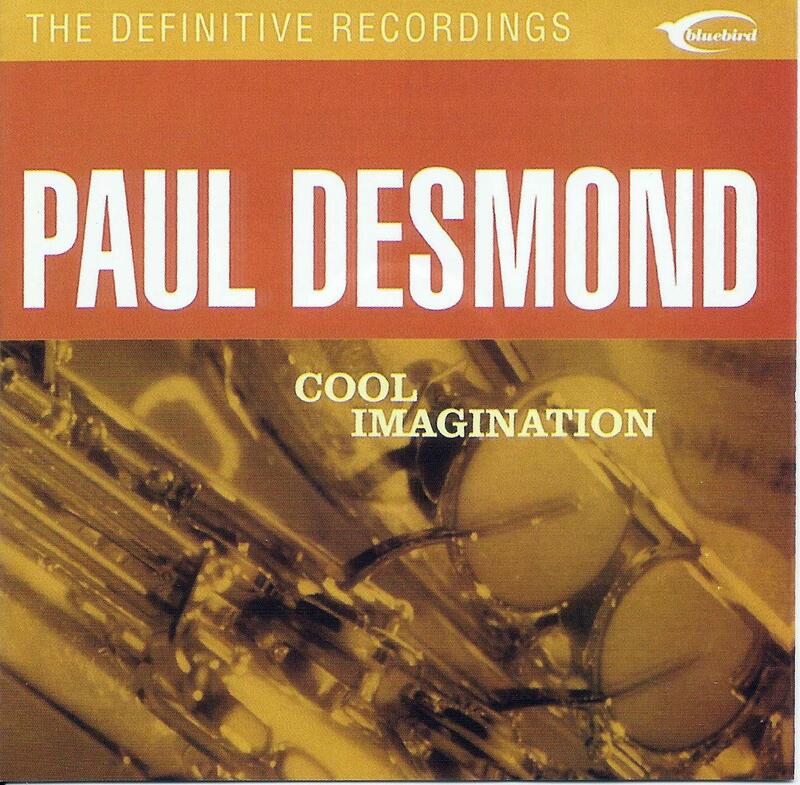 If you like 1960's club style jazz, then this is the set for you. 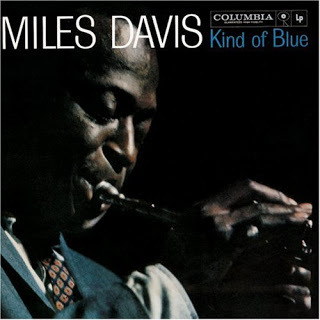 A superb collection of tunes that ranges from the smooth to hard bop. Herbie Hancock's "Cantaloupe Island" has never sounded better than the 1964 recording included here featuring Donald Byrd. Milt Jackson on vibes and Hubert Laws on flute lead a sensational combination on "Bags and Strings." And Jimmy Smith appears here a number of times doing incredible things on the Hammond B3 organ on "The Cat," "James and Wes," and "Got My Mojo Workin'." 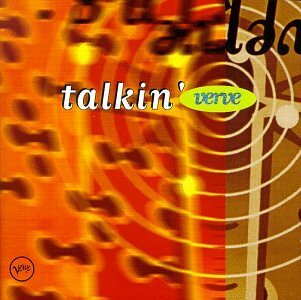 Also Latin jazz inspired tunes of Cal Tjader on vibes, and "Manteca" featuring Dizzy Gillespie on trumpet and vocals is an outstanding performance recorded on March 4, 1961 at Carnegie Hall. A pair of tunes with Willie Bobo featured on Timbales ("Boogaloo in Room 802" and La Descarga del Bobo") are also wonderful to hear. 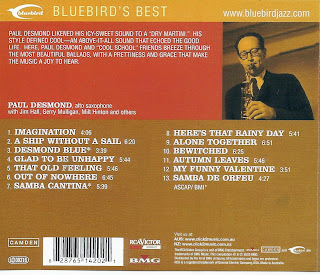 Classic recordings of some of jazz's finest performers. 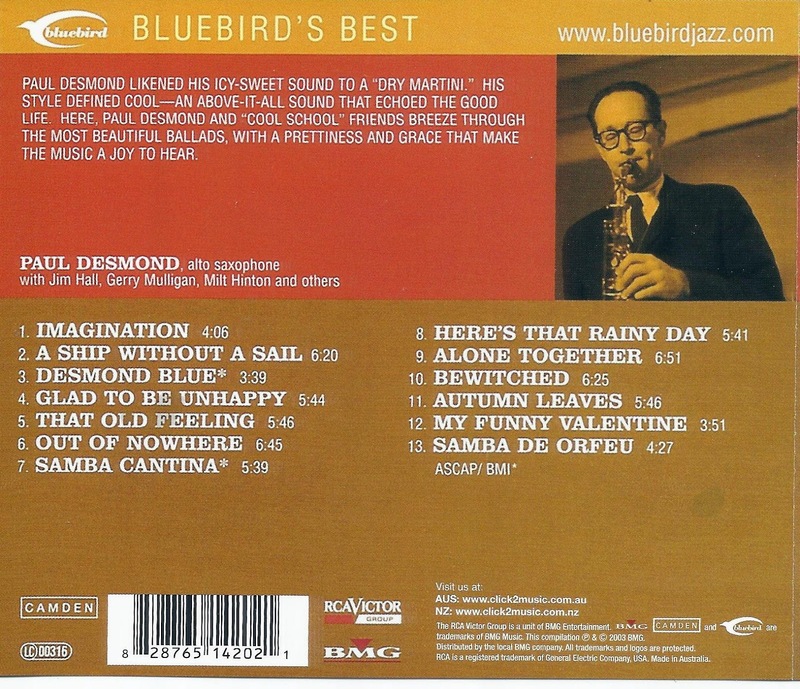 Paul Desmond likened his icy-sweet sound to a "dry Martini". His style defined cool - an "above-it-all" sound that echoed the good life. 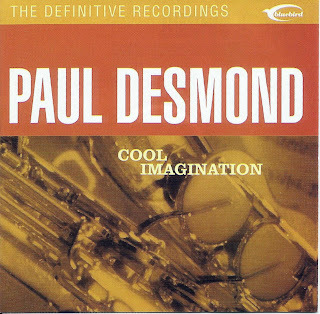 On this collection Paul Desmond and his "cool school" friends, including Jim Hall, Gerry Mulligan and Milt Hilton, breeze through the most beautiful ballads, with a prettiness and grace that makes the music a joy to hear.